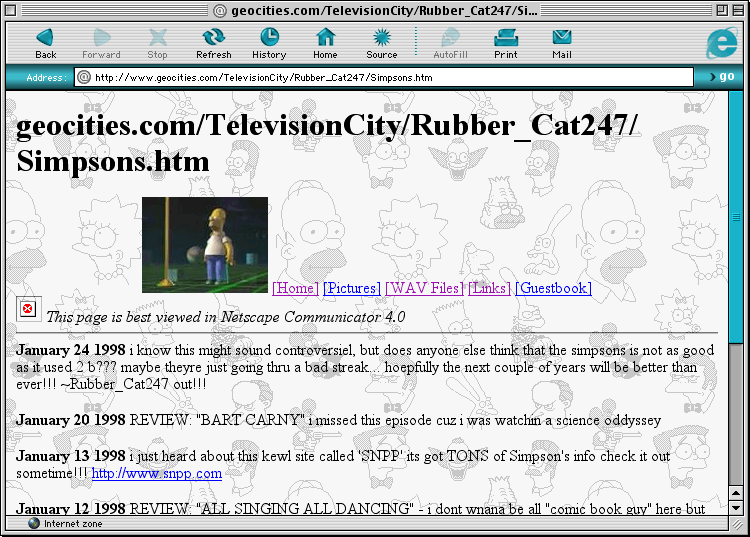 This site was launched on January 10, 1998 and has grown to become an institution among both the Simpsons and My Brother And Me web communities. It was hand-crafted with the latest web technologies including HTML, PHP, CSS, XTML, AJAX, RSS, and TXT. The servers have duo-core processors with over 200 megahertz of geil ram on both cylinders. As Homer Simpson would say, "Cowabunga!"